After completing his undergraduate studies at the University of Western Ontario and the University of Dundee in Scotland, Dr. Richard Ng graduated from dental school at the Washington University School of Dental Medicine. He went on to receive his specialty certificate in orthodontics and his master’s of Dental Science in Orthodontics from Indiana University. Dr. Ng has been in practice since 1995 and continues to keep current with the latest technological advances in orthodontics. 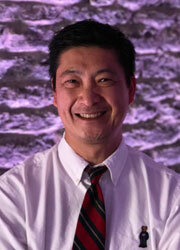 In his spare time, Dr. Ng enjoys traveling, participating in triathlons, cooking and spending time with his family. Dr. Sonya Wu is a Pediatric dentist who creates happy lifelong dental patients through her gentle, compassionate dental care. She has been serving Eastern Ontario, Upstate New York and surrounding areas since 1997. Dr. Wu received both her Bachelors degree and Doctor of Dental Medicine degree from Washington University in St. Louis, Missouri. She went on to attain her specialty certificate and Masters Degree in Dental Science and Pediatric Dentistry from Indiana University. She completed her residency in Pediatric Dentistry at James Whitcomb Riley Hospital for Children in Indianapolis, IN. She is a member of the American Academy of Pediatric Dentistry and the Canadian Academy of Pediatric Dentistry. 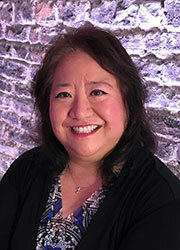 Dr. Wu was selected to membership in the National Dental Honor Society, Omicron Kappa Upsilon. Dr. Wu is licensed to practice dentistry in New York State, the State of Hawaii and the Province of Ontario. Dr. Wu enjoys traveling, reading and spending time with her husband and two daughters.